Join other scouts for a five-day cruise, anchoring each night in a new place. Explore the Chesapeake Bay and all it has to offer! Arrive at Rodney Scout Reservation (in North East, Maryland) on Sunday where you’ll prepare for your trip. On Monday, you will train with our sailing staff and then travel to the marina to meet the Captains and board the boat and prepare for your adventure. Trip itineraries are chosen by the Scout crews with insight and advice from the Captains and First Mates. Scouts may visit the historic Ports of Call of Annapolis, Baltimore, or St. Michaels. They may also choose to anchor off some islands in the bay or cozy inlets. 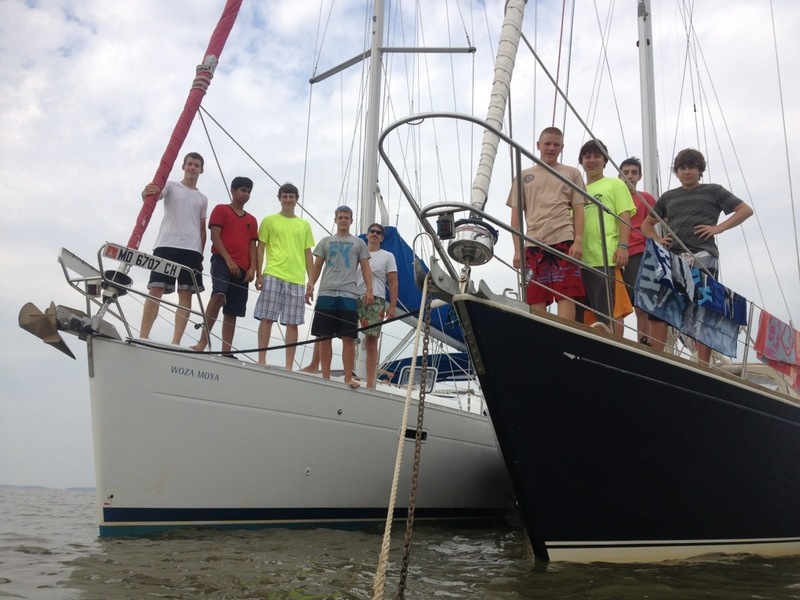 Sail, swim, cook, eat, fish, and explore the Chesapeake Bay from your sailboat. Each boat will consist of 5 crew members (Scouts only), a Captain, and a First Mate (a Rodney staff member or an adult leader from the Troop/Crew). Scouts may have the opportunity to work towards the Small Boat Sailing, Oceanography, Motor Boating, Weather and/or Astronomy merit badges. Your crew will return to Rodney on Friday evening for a family dinner, campfire program and an opportunity to share your adventures with other Scouts! Check out our Ship's Log (the HAS Weekly blog) for more fun reports from this past season's trips! Weekly participation is subject to boat availability with a maximum of 15 Scouts. Cost: The registration of $895.00 covers all meals & related program fees. A $100 non-refundable deposit is required to hold a spot. Final payments will be due on or before March 1, 2019. Due to strict contract commitments, there are no refunds for this program regardless of the reason. Substitutions may be made if another Scout is prepared to pay and meets the qualifications.